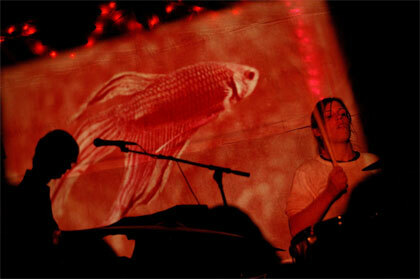 Keyboardist Jason Hutto and drummer Laura Harris formed The Aquarium in 2001. Early on, the duo wrote atmospheric instrumental compositions, which they performed in front vintage film reels — science classroom fare, nature footage, etc. — that had been salvaged from Baltimore city schools. Eventually, in an effort to fill out their sound, they began to include vocals in their songs. 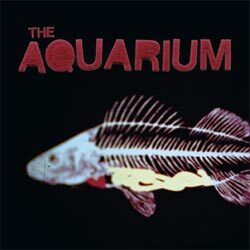 The Aquarium plays only a handful of shows each year and have toured only once, but, none the less, the band has attracted a loyal hometown following. 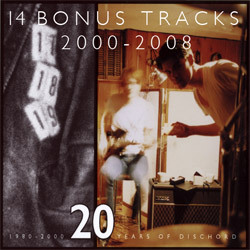 They recorded one self-titled full-length in 2006 and a two song 7”, which was released in 2009. 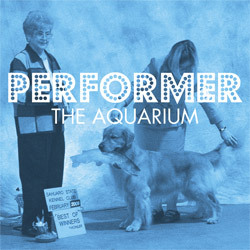 In addition to performing with The Aquarium, Laura also plays drums with Benjy Ferree. Jason has toured with E.D. Sedgwick, played guitar in Motor Cycle Wars, and has recently become a member of Soccer Team.